Yup, it’s that time of year again. Time to start getting ready for family, turkey, and deals! 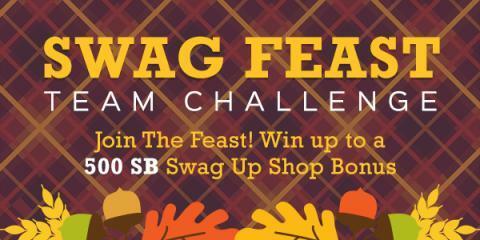 To get the feasting started, let’s start with the Swag Feast Team Challenge. 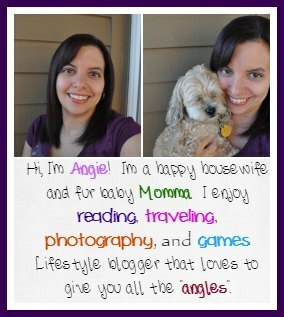 We love Swagbucks Team Challenges because they get our competitive streak going and they are such an easy way to get cash back for stuff we were already doing. This Swag Fest Team Challenge is no different – starting next week, you can earn 200 SB for your team and get up to 520 bonus SB added on top! All members who participate and contribute at least 200 points to their team’s total will receive an exclusive Swag Up Shop Bonus. With the Swag Up Shop Bonus you’ll receive a 100 SB Bonus on up to 5 transactions at unique stores. That means, if you qualify for the Swag Up Bonus, you’ll receive a 100 SB Bonus every time you shop at a unique store up to 5 times (no minimum purchase value, must be a qualifying purchase). But that’s not all. Each member of each team, depending on where the team places will receive a SB bonus! 1st place: 20 SB 2nd place: 15 SB 3rd place: 10 SB 4th place: 5 SB. So get out there and Swag your team to victory! Not on Swagbucks yet? You can get gift cards for the upcoming holidays by signing up here for free and joining the Team Challenge!